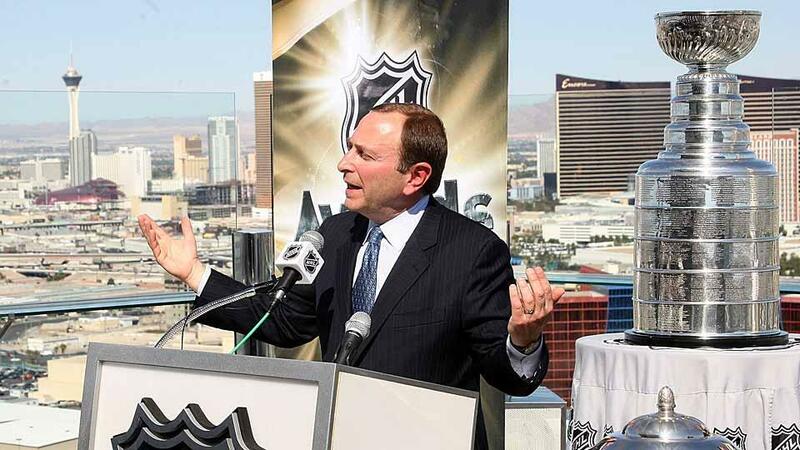 The buzz around the NHL is that the league is looking to expand; two of the proposed spots are Quebec City and Las Vegas. First off, I love the move to QC. It has housed a hockey team before and the fans are salivating at the idea and calling (if not screaming) for it. At first glances it would appear a move to Las Vegas would be beneficial to the sport, after all Vegas is the sport gambling center of the world and heavy traffic might help the league and the proposed team succeed, but I assure you it is fools gold. A 2013 poll shows a mere 91,000 NHL fans in Las Vegas, a hefty 150,000 less than any current NHL team including the likes of Nashville, Phoenix, and Florida. Vegas is by all means the entertainment capital of the US if not the world, people go for instant gratification whether it be at the casino, shows, shopping, or any other of Vegas’ fine attractions. You would think the fast paced game of hockey would fit in with the fast paced lifestyle, right? Wrong again. NHL expansion teams take time to become relevant, for expansion drafts are picking unprotected lesser talented players from other established teams. In the modern era it has taken the Lighting 11 years to capture the Stanley Cup, the Ducks 14, and the Wild, Sharks, Blue Jackets, Senators, Predators, Thrashers/Jets, and Panthers all have not won. As it stands Vegas has little to no NHL fans, existing NHL fans in the US fans would not travel to see a struggling team play, and people in Vegas wouldn’t waste their time visiting a team that will struggle to be .500 especially when they can be doing just about anything else in Vegas. This is evident in the fact that Vegas has an ECHL team, AAA baseball team, and arena football team, all of which are in the worst five for attendance in their respective leagues with the AAA team finishing dead last this past season. I understand NHL Commissioner Gary Bettman and the NHL are trying to market the sport and grow the brand, but they need to realize hockey is a regional sport that will never contend with the likes of the NFL, at least not in the US. They need to move to markets like Quebec City, Hamilton, Seattle, etc. where the team will be appreciated and succeed. An example of this is the Winnipeg Jets. This was a great move because Atlanta where they relocated from is not a hockey market (they have tried twice now). When season tickets went up for sale in Winnipeg after news of the move it took less than one week to sell out. It takes time to build a successful team that consistently brings in a crowd; the Florida Panthers sold out the 1996 Stanley Cup despite having finished in the bottom tier of attendance each year they were in the league. The next season (one they finished sub .500) they moved back in the bottom 5 and would continue to be in the bottom tier until making the playoffs again in 2011-12. Even in traditional hockey markets it takes time. Take the Chicago Blackhawks for example. They were in the bottom ten of attendance from 2000-01 until 2007-08 after Patrick Kane and Jonathan Toews were drafted. Now after 3 Cup wins in 5 years, they are a mainstay of the NHL, leading the league in attendance from 2008-09 until now. It will take time for the expansion team to get going and become successful, and I do not think Las Vegas has the desire, nor the patience, to wait it out until the team becomes relevant. Being a hockey fan I admit the idea of playoff Vegas hockey is enticing, but the fact of the matter is Vegas is not a hockey market. Do for the good of the league, keep the NHL out of Vegas. Derek Nadeau is a 23 year old grad from Bridgewater State University. Born in Boston, MA he was raised on the Bruins, Red Sox, Patriots, Celtics, and BC Eagles. He has played just about every sport under the sun, and loves every one of them. Outside of sports he enjoys reading, space exploration, video games and movies. Follow him on twitter @DNAD23. RIght on the money. Desert hockey is already in trouble in Phoenix. The NHL needs to put teams where they will work. Quebec is a great location for hockey. If the NHL is looking for another Western Conference expansion team, Seattle and Portland would seem to fit the bill.